Our indoor pool is temporarily closed until May 1st. due to renovations. Sorry for the inconvenience. 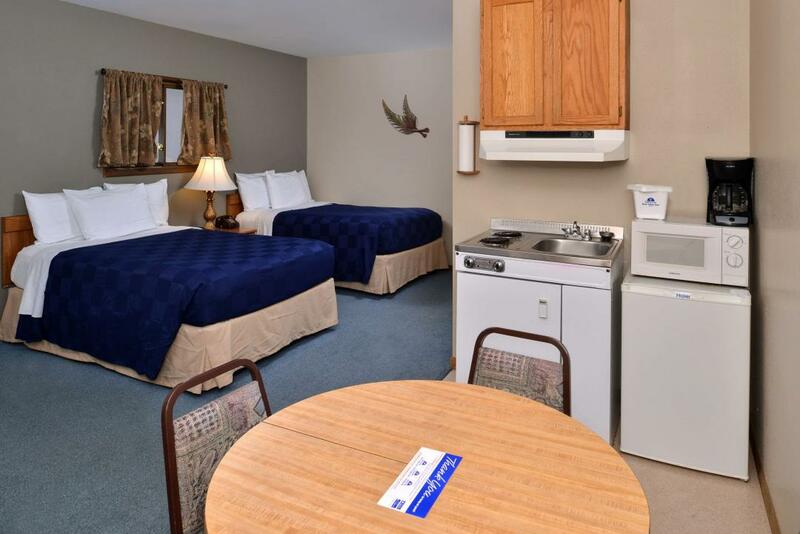 The Americas Best Value Inn Marquette includes more of what you want when traveling in the Upper Peninsula (UP MI). Enjoy complimentary Wi-Fi in all guest rooms, free daily deluxe continental breakfast now offering gluten free options, indoor pool, and especially designed pet friendly rooms (restrictions apply). And don't forget to take advantage of our winter plug-ins for snow mobile trailers plus direct access to snowmobile trails and direct access to the Bike Path system. Additionally, children 17 and under stay free and Portable Play Yards (Pack N Play) are available for small children upon request with a refundable deposit. 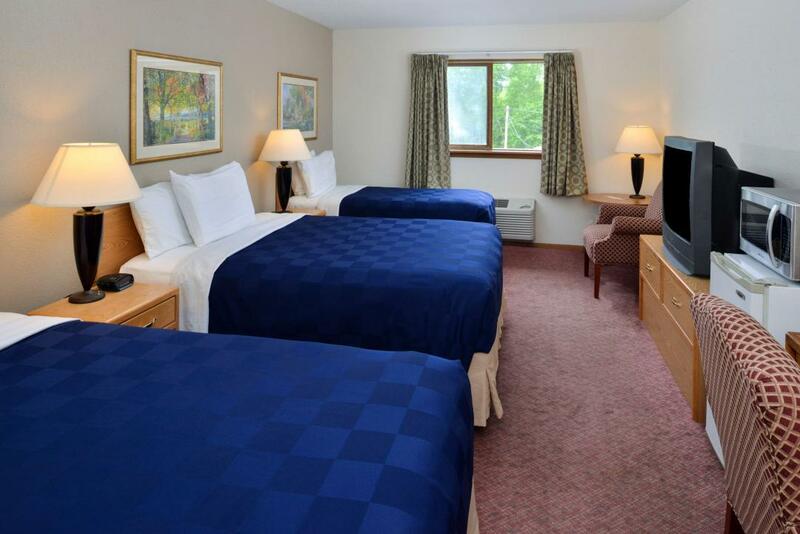 The Americas Best Value Inn Marquette is your best choice in the Upper Peninsula during winter or summer. 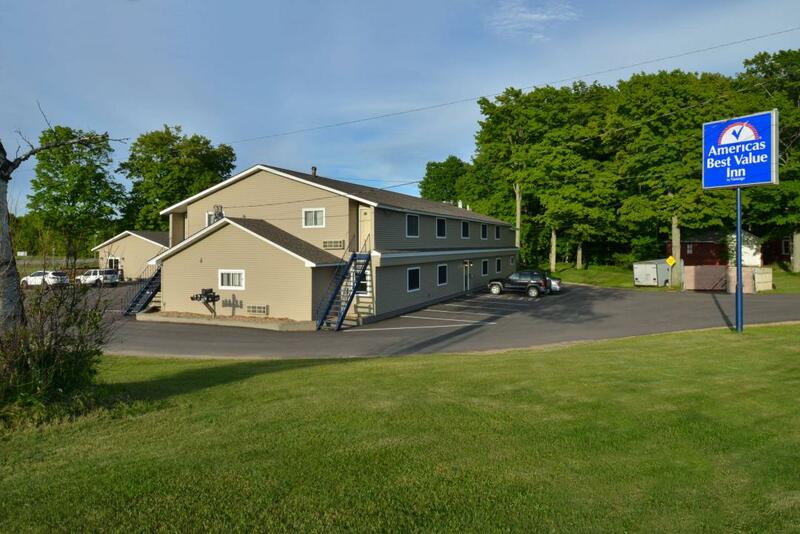 We are only a short distance from hiking trails, trout and salmon fishing and direct access to the best bike and snowmobile trails, downhill skiing, cross country skiing and shore activities on beautiful Lake Superior. Just a few minutes from several of the region's top golf courses, ranging from beginner courses to pro level courses. The Marquette region is the epicenter of mountain biking in the Upper Peninsula. The area offers extensive multiple trail systems which offer all levels of riding experiences. Throughout the summer, UPMTB will be traveling across the U.P. documenting the events and races while interviewing the local and visiting riders who are out on the trails. We also offer the best value for students of Northern Michigan University and their families and outstanding corporate and group rates. Most importantly, we pride ourselves on our great service .... we could tell you about it, but we would rather you come see for yourself! 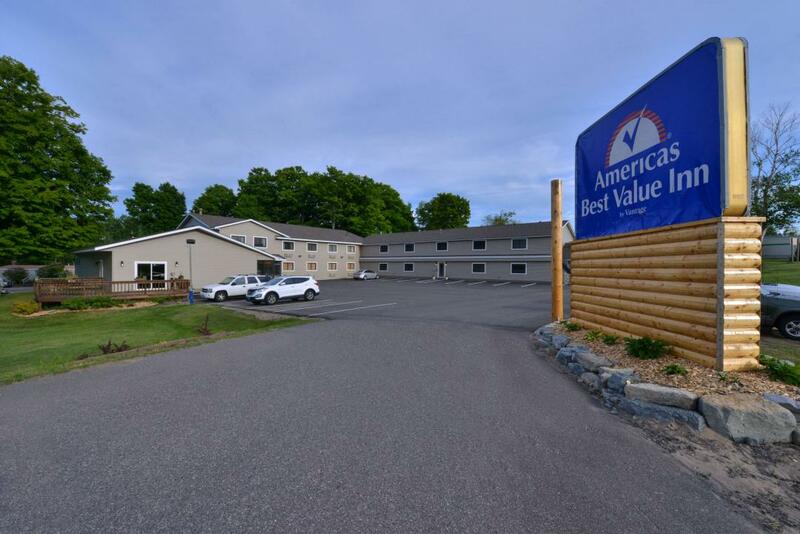 Everything we do at the Americas Best Value Inn Marquette is driven by our desire to provide exceptional service, dedication to detail and a friendly, comfortable environment. Join our family at the Americas Best Value Inn Marquette - You Deserve It. For a limited time, book one or more consecutive nights and save up to 25% off our Best Available Rates. Rate allows a 28 night maximum stay. Rate requires a valid credit card to guarantee the reservation. Reservation must be cancelled at least 48 hours prior to the arrival date to avoid a one night penalty. Offer subject to availability. Rate may not be combined with any other discounts or promotional offers. Dogs are welcome in a limited number of rooms for a charge of $10 per night. Pets must be crated and never left unattended. Enjoy Free Deluxe Continental Breakfast offering waffles (original and flavored), white wheat cinnamon breads, yogurt, cereal, oatmeal, muffins, orange and apple juice, milk, tea and coffee. Now offering Gluten Free options. Available between 6am - 9am. Main Street Pizza, 0.2 mi. The Dry Dock, 0.4 mi. The Bayou Bar & Grill, 1.3 mi. Up Front and Company, 4.5 mi. Casa Calabria (Italian), 5 mi. Jeffrey's Family Restaurant, 5.5 mi. A & M Cafe, 9.6 mi. Check out these Marquette attractions during your stay. U P Mountain Biking, 1.9 mi. Paddling Michigan (Canoe/Kayak Rental and Tours), 2.7 mi. Gent'z Homestead Golf Course, 3 mi. NMU Golf Course, 3.2 mi. Marquette South Trails (Mountain Bike Trail System), 3 mi. Thomas Group Theatre, 4.5 mi. Marquette Mountain Ski Hill, 5 mi. Ojibwa II Casino (Complimentary Shuttle from our hotel to the casino sponsored by the casino), 5 mi. Presque Isle City Park, 7 mi. Sugar Loaf Mountain, 16 mi. Pictured Rocks National Shoreline, 45.7 mi. Marquette Historical Society Museum, 4.5 mi. International Seafood Festival, 4.5 mi. Marquette Maritime Museum, 5 mi. Regional Historical Homes District, 5 mi. US Olympic Training Center, 6 mi. Northern Michigan University, 6.2 mi. US Ski Hall of Fame, 13.2 mi. Michigan Iron Mining Museum, 18 mi.